Waukeela staff members come from all over the US and the World to spend their summer in the beautiful mountains of New Hampshire. Waukeela counselors are the absolute best in the business and love helping us build a caring community. They bring a wide variety of skills to each of our activity areas and take their job as role models to our campers very seriously. Being a Waukeela counselor is also FUN! 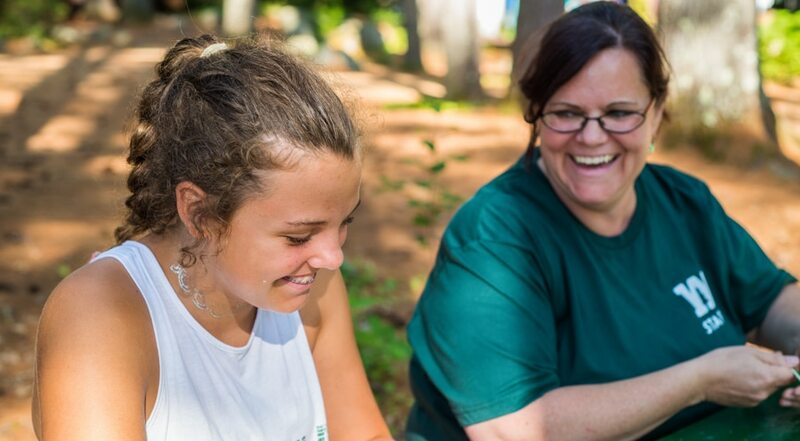 Our staff members have the opportunity to lead trips, experience nature, make great friends from all over the world and enjoy the pure joy of a summer at Waukeela. Over 75% of our counselors at Waukeela return year after year because of their love for Waukeela. A summer commitment includes one week of orientation and eight weeks of summer camp. Each Waukeela counselor gets 24 hours off during each week of the summer. Many of our counselors spend that time enjoying the wonderful beaches, restaurants and shops in New Hampshire. What is it like to be a Waukeela counselor? Being a Waukeela counselor is so much fun! Waukeela counselors bring a wide variety of skills to their jobs and help instruct each of our daily activities. Waukeela counselors sing in the dining hall, tuck in our girls at night and help us keep Waukeela at its best! They are fun, caring, responsible and ready for the best summer ever. Most counselors who teach activities also serve as a cabin counselor and will live in a cabin with 4-5 other campers. 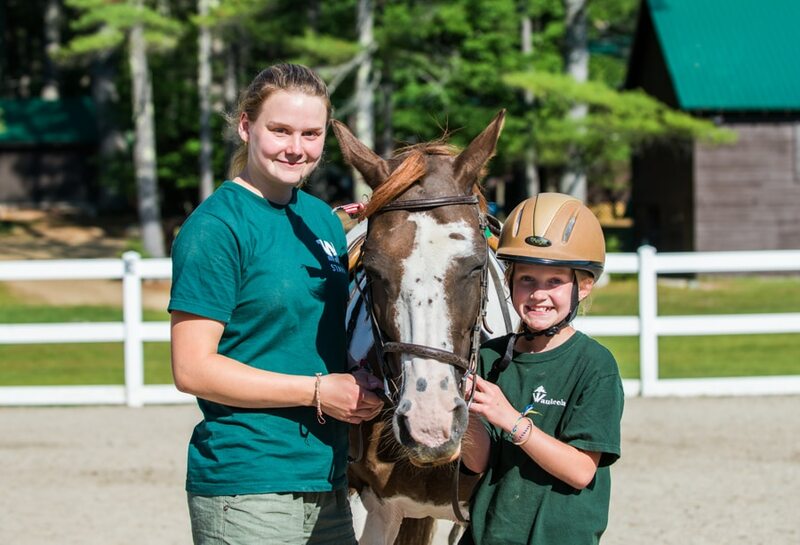 Certain members of our horseback and kitchen staff will live in counselor cabins with other staff members. All room, board, uniform and laundry services are provided to counselors free of charge during the summer. Days at Waukeela are go, go, go! Each morning you will help your cabin get ready for the day, you will teach your daily activities and help plan fun evening programs and events. Where will I spend my time off? Many of our counselors spend that time enjoying the wonderful beaches, restaurants and shops in New Hampshire. You will have time off with other Waukeela counselors giving you the opportunity to coordinate plans and rides. Each Waukeela counselor also has some additional free time off during the week to rest, use the phone or internet and relax with a coffee or soda.